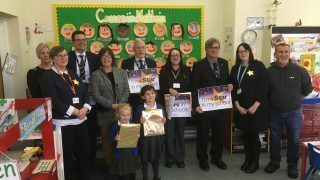 In a major show of recognition, politicians from across Wales will attend events in schools on Friday 27 November to praise the hard work of school support staff. So often the unsung heroes of schools, teaching assistants, midday supervisors, admin workers, catering staff and cleaning staff, are part of the whole education team who make our schools the success they are. 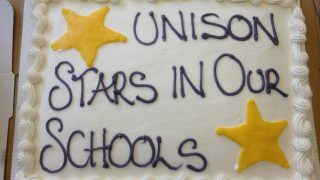 Welsh government ministers, Assembly Members and MPs have committed to supporting UNISON’s Stars in our Schools day of celebration, a highlight of which involves Welsh education minister, Huw Lewis acting in his role as Assembly Member for Merthyr Tydfil & Rhymney, serving food in the school canteen at Edwardsville primary in Merthyr Tydfil. Assembly Members including Jane Hutt, Julie James, Mark Drakeford and Vaughan Gething will all visit schools in their constituencies and speak to support staff. So too, will MPs Jo Stevens, Kevin Brennan and Stephen Doughty. 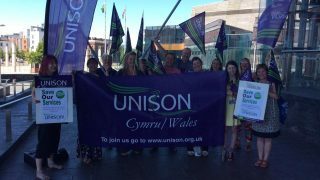 UNISON, the largest trade union for school support staff in Wales, has organised the day to make sure the world knows just how vital these employees are to children’s education. On 27 November, schools right across Wales will be holding awards ceremonies, putting on special assemblies or holding a coffee morning to thank support staff for their commitment over the last year. At some schools as a gesture of appreciation, teachers will work to cover break times and tea and cake refreshments are being left at the end of the day especially for cleaning staff. 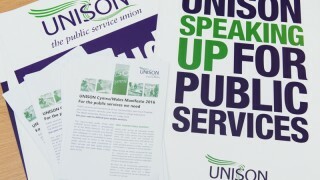 Jess Turner, UNISON Cymru Wales lead organiser for schools on 07950 261 606.